Eric is a Colorado native who has lived in the Vail Valley since 1977 and has been playing tennis for over 40 years. He graduated from Colorado College with a bachelor’s degree in Business & Economics with a minor in Political Science and has his MBA from the University of North Carolina Business School. In addition to being a Pro at Homestead, Eric is also a licensed Independent Insurance Representative and owns a unique greeting card and gifting business. 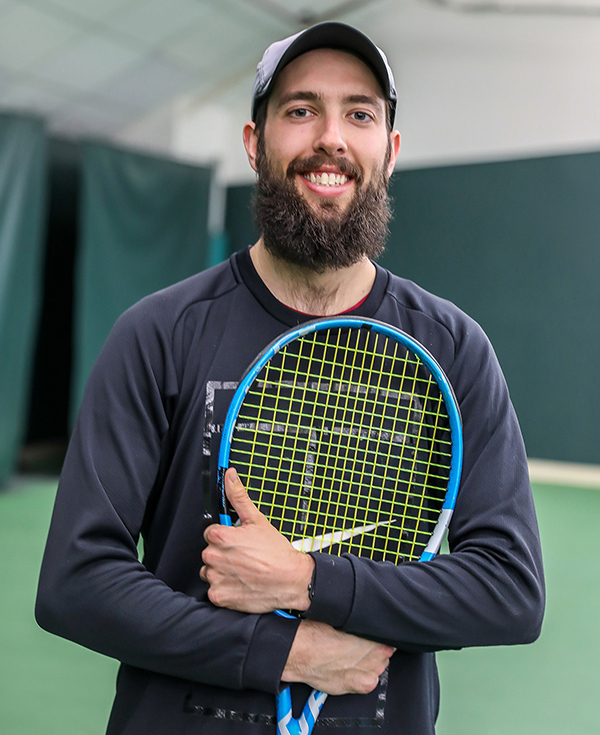 When Eric is off the court he enjoys lives life to the fullest skiing, golfing, playing paddle tennis, hiking, playing soccer, practicing yoga and pilates, traveling, and volunteering in the community. Malachy Coyne is a recent graduate of the Professional Tennis Management Program at Ferris State University in Michigan. He is originally from up-state New York where his athletics included tennis, skiing, weight-training, golf and basketball. Tennis emerged as his “true passion” and summer employment revolved around several local tennis clubs. Malachy has been around the tennis industry and instructing for over seven years. He is a Certified Teaching Professional by the USPTA, PTR and Cardio Tennis. He is available to teach private, semi private and group lessons. Contact Malachy at the Club to set up a lesson today! David Cook is originally from Spring Lake, Michigan and graduated from Ferris State’s Professional Tennis Management Program. Since then, he spent three years teaching in Colorado Springs at the Garden of the Gods Club and Resort. 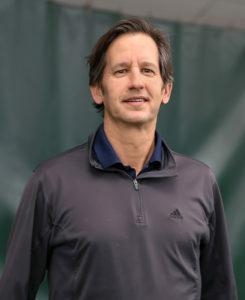 He is USPTA, PTR and certified to string tennis racquets. His hobbies outside of tennis include skiing, fishing and basketball. He is very excited to be here and to get to know the Homestead community members. He is available to teach private, semi private and group lessons. Contact David at the Club to set up a lesson.